The Big Picture is a monthly PESTLE analysis. Today we look at Politics and Economics. “We will not allow this to happen”, is the comment collected by Gabriel Nedelec for Les Echos when Voktor Orban, Hungary President, announced a tax on Internet. Down and everywhere in the streets, the crowd gets its voice heard. On the political side, some complaint about M. Draghi’s “erratic communication” and “secret management style”, according to Audrey Tonnelier from Le Monde. Looking at business now: some companies have “demonstrated on numerous occasions the extent to which it is willing to lobby senior people in government to protect its interests”, says Bryan Glick from Computer Weekly in the UK. So let’s look at economies and banking. “The UK, Belgium, France and Germany have voted their own laws to separate banking activities in 2013 and 2014, although the English law is ambitious, the French and German versions are particularly weak and have low impact” says Laurence Scialom from Terra Nova. She is not the only one asking for change in the finance sector. According to Christopher Joye from The Financial Review, “Most agree the crisis was triggered by excessive debt, cheap money, and overvalued investments. But today we have more debt, even cheaper money, and dearer asset prices”. Alexandre Naulot from Oxfam France explains in Challenges that France together with 11 other EU countries is opposing a “really ambitious tax policy” on financial services, impacting those financial sources that actually have an impact on real economies. Instead, the government has decided to reduce its allocated budget to sustain competitiveness clusters by 30%, according to Matthieu Quiret from Les Echos. In Spain, Google News and Yahoo News will now be submitted to an Internet tax, as reminds ZDNet. About immigration, The Economist explains: “In reality there is nothing Mr Cameron can, or indeed probably should, do to curb immigration that would be in line with the public disquiet it is currently causing”. In Germany, ABHIMANYU GHOSHAL from The Next Web explains that “If an upcoming ruling proposed by local politicians passes, American companies hoping to sell their products and services to the German government or tech startups and businesses in Berlin may find themselves in a quandary, as they won’t be able to uphold their promises of maintaining user data privacy when government agencies request access”. 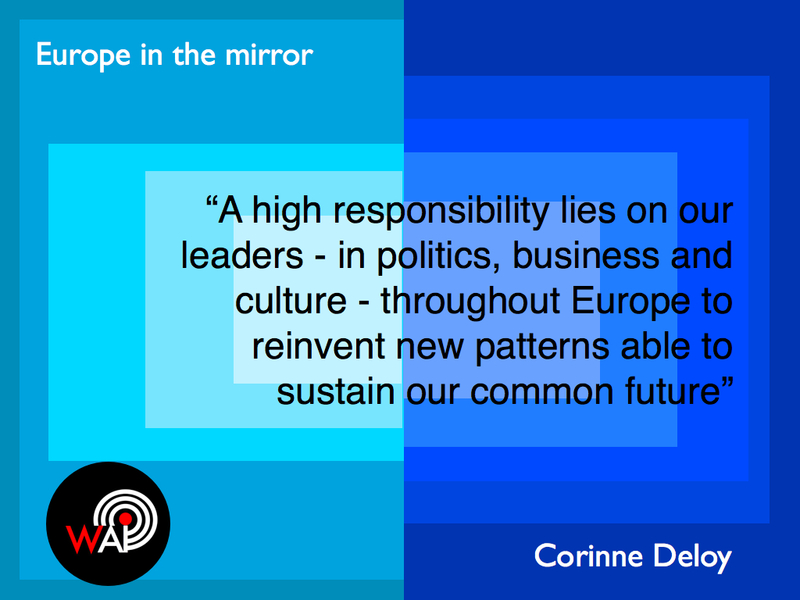 As Corinne Deloy from Trop Libre remarks: “A high responsibility lies on our leaders – in politics, business and culture – throughout Europe to reinvent new patterns able to sustain our common future”. Nouriel Roubini from Project Syndicate has our opening thought: “So the global economy is flying on a single engine, the pilots must navigate menacing storm clouds, and fights are breaking out among the passengers. If only there were emergency crews on the ground.” Any volunteer? Actually, many. Joel Elkaim from Deloitte argues that we should “retrieve public policies evaluation from the closed administrative orthodoxy under which we are currently reviewing them, in order to include elected leaders, operational experts and universities”. This also applies to business, as Eric Beinhocker mentions for McKinsey, “We believe that a reorientation toward seeing businesses as society’s problem solvers rather than simply as vehicles for creating shareholder returns would provide a better description of what businesses actually do.” We could also apply a “spoils system” to recruit our leaders, as already done in the US according to Kevin Brooks from Trop Libre. Smaller regions also need to be included in strategies. The EU comes up with examples such as “Darmstadt -a city of 150.000 people– building on its research & innovative output and on its active business community, ranks number seven at EU’s top 10 ICT Poles of excellence”. Everyone, everywhere. As Pankaj Ghemawat from the IESE Business School reminds, “threats to globalization won’t come from macroecomic fundamentals, per se, (…) but from protectionist policies.” So The Centre Français des Fonds et Fondations places people at centre of discussions, hoping to define a roadmap for philanthropic action favoring familial agriculture with examples of measures that led to increase the impact of philanthropic investments. The EU is also launching Big Data centric initatives as part of their Horizon 2020 programme. As GrowthBusiness explains, “ the programme will recruit approximately 50 start-ups over 30 months, with €5.5 million allocated to each successful applicant to develop their concept. They will also receive mentoring, technology, infrastructure and networking support.” Samuel Gibbs provides additional details for The Guardian: “A further €3.7m will be used to fund 15 researchers into open data posed with the question “how can we answer complex questions with web data?”. Moreover, according to Challenges, “A new research presents “a positive image of immigration” (in the UK) (…) Immigrants from 15 UE countries, including France and Germany, have contributed by 64% more in taxes than they perceived social revenues; those coming from Eastern Europe having paid 12% more than they cost, according to a research”. Finextra explains how government in the UK tries to open critical questions to society: “While the government recognises the potential of digital currencies, it also asking for views on the potential risks posed by digital currencies, including possible risks to customers and financial stability”. On Rec reminds change leads further than stability, it leads to growth. “By 2020 the UK will have created cumulatively 346,000 big data positions since 2013 (…)This equates to 160 per cent growth in demand between 2013 and 2020, while overall UK employment is set to rise by just six per cent for the same period.” Challenges mentions ROI: “the “CIR” (a French tax reduction system specific to research) has contributed to an annual increase in research and development for companies of €5.3 billion from 2007 to 2012 with the creation of 28.000 research posts since 2008”. 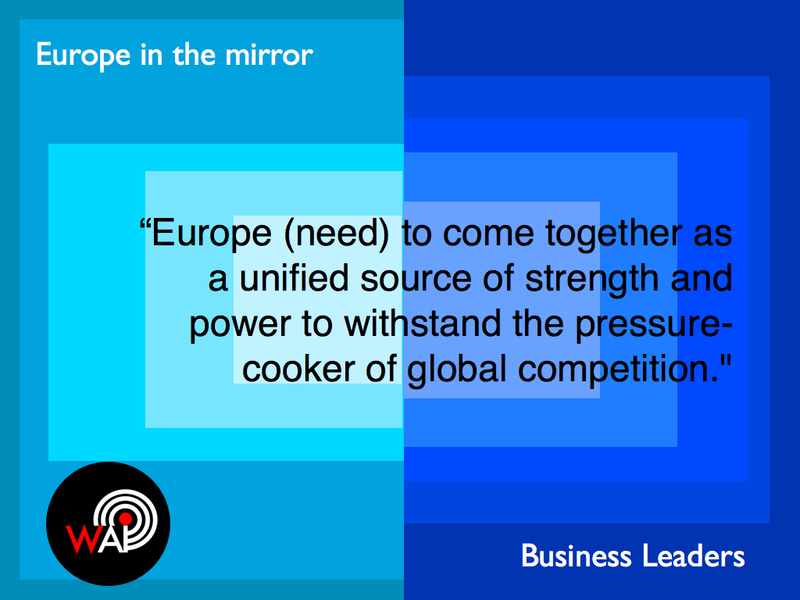 Euractiv realises that this is a challenge which engages standardization, beyond research community and innovators. 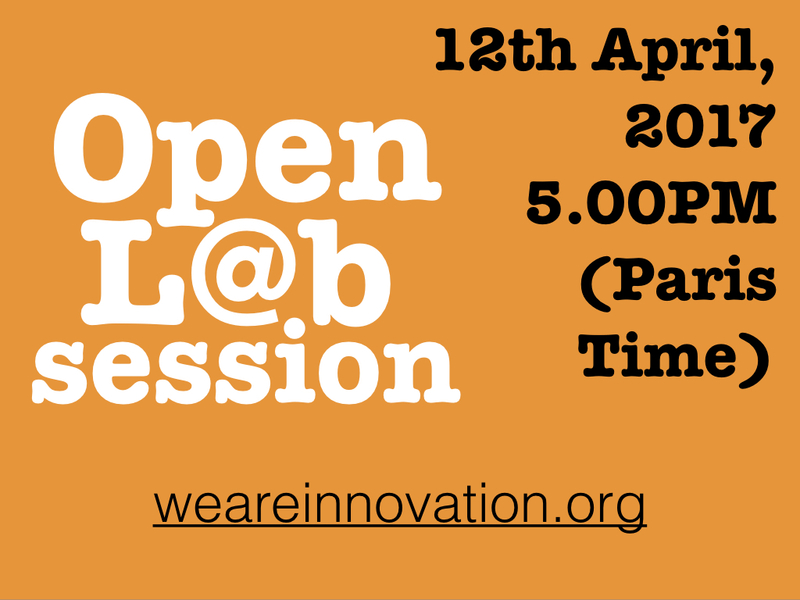 Because innovation needs new standards. According to the OECD, “ Fifty-one juridictions (…) have massively supported a multilateral agreement that initiates automatic information sharing and mutual administrative support for fiscality topics”. In Hungary, where the crowd is still walking up the democracy avenues to fight for Internet freedom, the government has started to review in Internet tax plans. Why not anywhere else in Europe? Local greed can have a global impact, as Marc Fiorentino explains for Financier SA. According to the financial expert, Ukraine crisis “has plumbed the Eurozone growth since the last quarter of this year. (…) For now sanctions haven’t slowed Russian intentions in Ukraine but they’re coming back at us in a boomerang effect”. Temba A Nolutshungu from The Free Market Foundation brings attention on the Forex policy in South Africa which “leads to a foreign-imposed risk-premium on the cost of all local investment and government funding”. Sid Verma from Euromoney further enhances: “The rouble devaluation is running in line with prior major EM currency crises”. Finally, EuroMoney explains the high connectivity of regional economic downturns: “A slowing China combined with a strengthening dollar heralds a new normal for emerging markets, hitherto buttressed by cheap dollars and the Asian nation’s voracious commodity-import demand”. 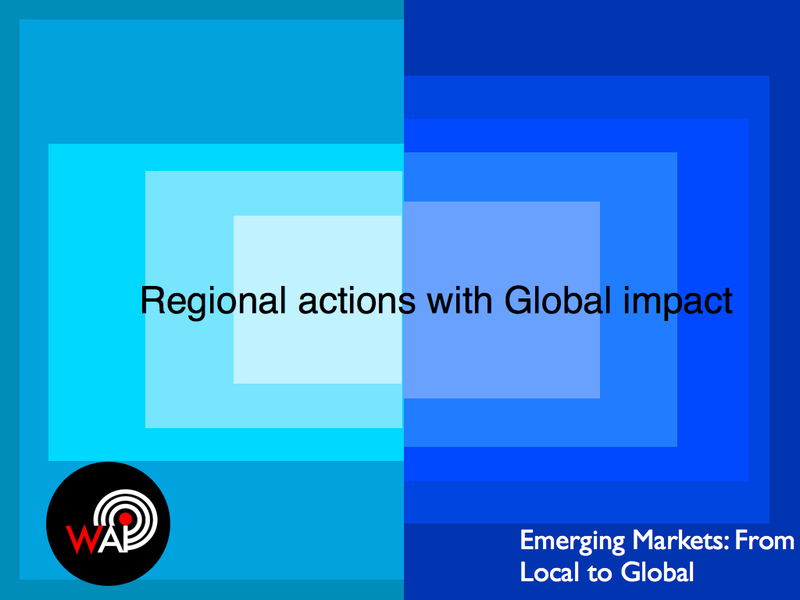 Emerging markets can benefit from locally developed consumer trends, as CapGemini explains: “Asia-Pacific is also the only region in the world where HNWIs feel digital contact is more important than direct contact with their wealth managers”. They also have local strengths according to The Economist who considers China’s stockmarket as being a driver for all other stockmarkets in the world. As Ronald Klingebiel from HBR remarks, for Africa as well as Asia: “it opens the door to novel business models, especially those centered on mobile internet”. There are guidance to be borne in mind though. Ricardo Hausmann from Project Syndicate recommends “A strategy for inclusive growth must empower people by including them in the networks that make them productive (…) Viewed properly, inclusiveness is actually a strategy that enhances growth.” Some countries like Argentina also focus on managing their debt, as La Tribune reports. In turn, huge benefits are generated locally. As Dan Keeler from The Wall Street Journal explains: “Multinationals from emerging economies are growing their businesses some 10 percentage points per year faster than their advanced economy peers, both in their domestic markets and abroad.” “China should need more than 6,000 new planes (in the next twenty years), which represents a $870 billions potential market.”, explains Patrick Deniel from Usine Nouvelle. Local consumer behaviours also secure local business. The Economist makes the case of Indian shoppers who much prefer local shops rather than supermarkets, limiting growth of the latter. 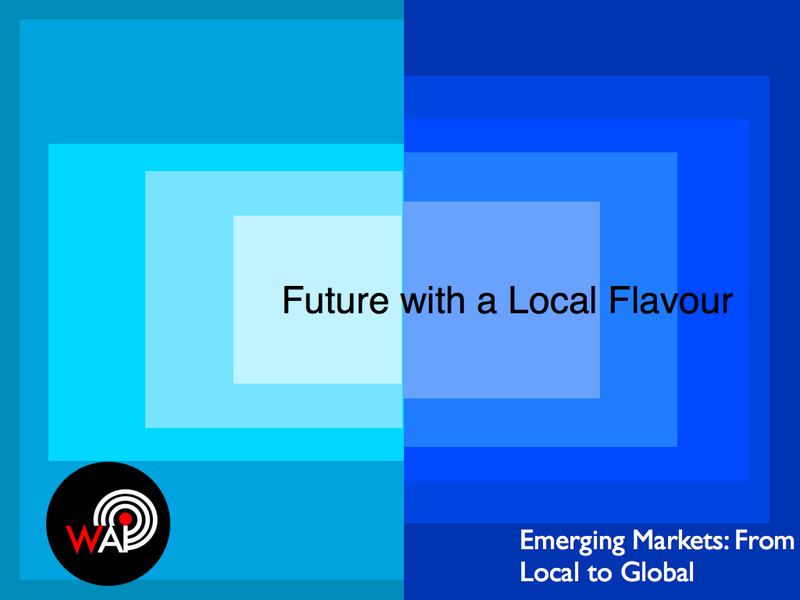 Aaron Baar from MediaPost explains that in Latin America: “You need to have word-of-mouth as a key pieces of your marketing strategy.” That may be the reason why some cities develop tourism based on the social economy, as Maddyness relates. Hence the arrival of foreign investors to a digital emerging markets in Africa. According to Jon Russell from TechCrunch: “Through Internet.org, Facebook is working with a bevvy of telecom and technology companies to enable users to gain access to certain services from their phone without cost”. BCG has released a new list of Global Challengers. There are 29 companies from China, 19 from India and 13 from Brazil. The Economist warns: “Big bets made in anticipation of rapid growth forever will go sour, and that may trigger financial hardship that leads to even slower growth—especially if rich-world investors develop an indiscriminate fear of emerging-market investments”. There are still important regional strategies as Chris O’Brien from VentureBeat reports: “SoftBank Internet and Media, Inc. (SIMI), made its biggest investment of $627 million in SnapDeal, India’s largest online marketplace (…) SoftBank also invested $210 million in Ola Cabs, a car-sharing service that has 33,000 vehicles registered to use its service across 19 cities in India.” Jon Russell from TechCrunch mentions Samsung strategy: “we can expect more China-centric plays as the company seeks to lift itself from its present doldrums.” while Les Echos mentions Momo, an application which is about to raise IPO on NYSE shortly after Alibaba raised theirs. According to Pascal Airault in L’opinion, the French carmaker Renault is opening a new plant in Oran, as part of its development plans in Africa. Previous Post What’s your personal language?